I want to reveal the single greatest motivation we as Christians have for walking in the truth. 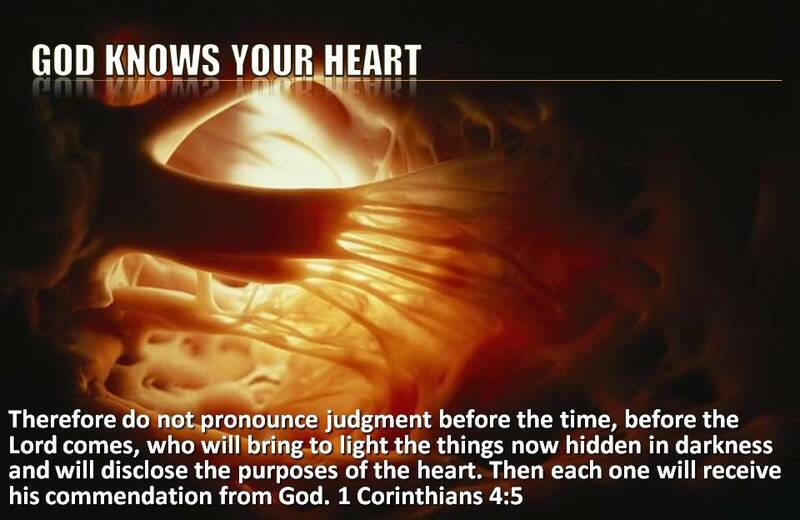 This revealing involves “end times” teachings. 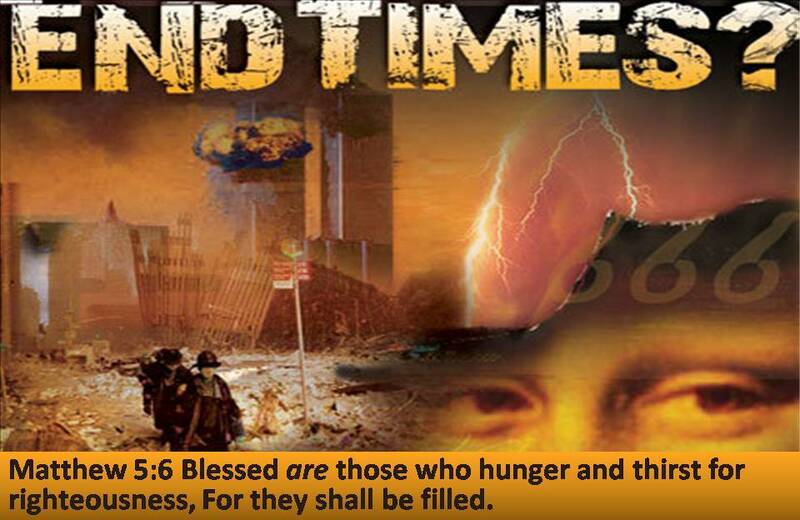 Most of us are very curious about the “end times”. 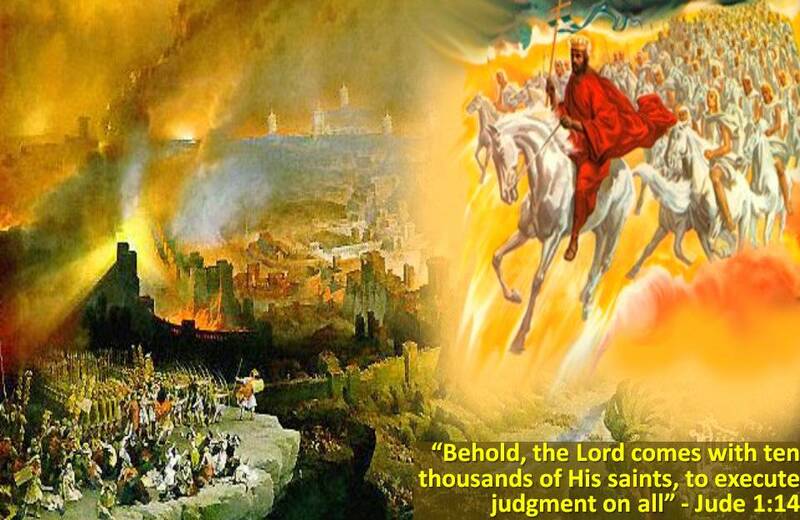 Most people respond to surveys saying they want to know more about the Book of Revelations. Let me give you this about that. Curiosity is not the proper reason to study Revelations. Jesus gives us the proper reason to study the Word or the End Times Book of Revelations: “Matthew 5:6 Blessed are they which do hunger and thirst after righteousness: for they shall be filled.” If your study is motivaFrom the ted by your personal hunger and desire for righteousness, God will satisfy you, He will teach you. But if you are only motivated by curiosity or the pride of ‘knowing’, you will come away not knowing, not being satisfied. You will be confused. Our belief’s must not be based upon what someone else has taught us, not even what I teach. Each one of us has the Holy Spirit as our teacher. What we must do is search and study the Scriptures. The truth must be within you and it must be based upon what you have studied and struggled with. Don’t accept at face value what I say or what others say. Study to show yourself approved (“dokimos”) unto God, a workman who is not ashamed, but who rightly divides the truth! What is this Single Greatest Motivation for Walking in Truth and Following God’s Will? 1 John 3:1-3 See what kind of love the Father has given to us, that we should be called children of God; and so we are. The reason why the world does not know us is that it did not know him. 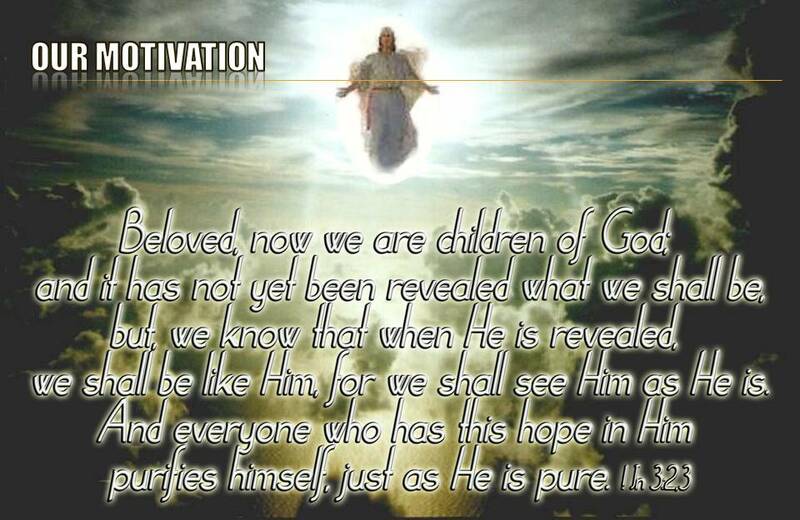 Beloved, we are God’s children now, and what we will be has not yet appeared; but we know that when he appears we shall be like him, because we shall see him as he is. And everyone who thus hopes in him purifies himself as he is pure. John says the truth of Christ’s 2nd coming and uor resulting change into His glorious body is the Hope That Purifies Us. So this truth of our FUTURE transformation when we are face to face with Jesus Christ is to motivate us in the PRESENT to obey His truth and in so doing become PURIFIED or CONSECRATED (agnízō – in 1 John 3:3) to God, which is what living in His Will and walking in His truth is all about. I have read that in certain countries, hunters capture monkeys using a very simple but effective trap. They make a hole in a hollow tree and put a banana in it. The hole is big enough for the monkey’s hand to go in but not for its fist to come out. A monkey would then reach in and grab the banana. It then tries to pull its hand out while grabbing on to the banana to no avail. Its closed fist would be too big for the hole. For the monkey to be able to pull its hand out it has to drop the banana. 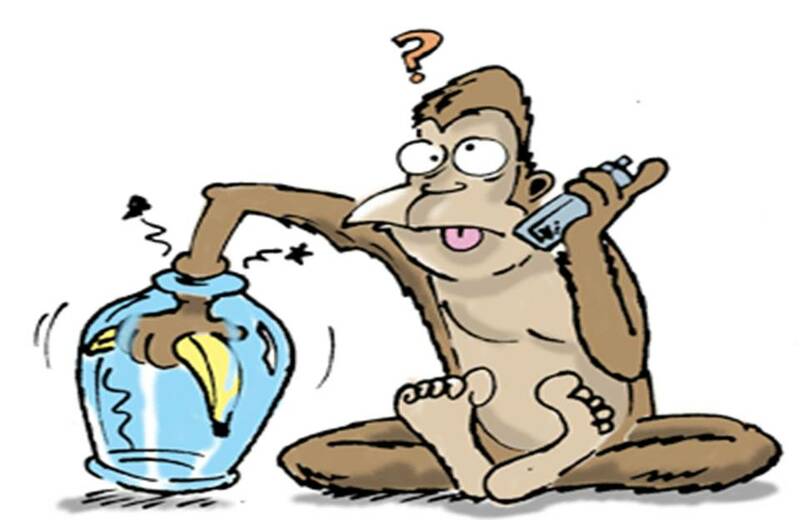 But hunters are well aware that monkeys will not let go of the banana and that the monkeys will kick and squeal when the hunter approaches but they refuse to let go of the banana. They refuse to let go of the bait and so become captured. (continuing in verses 28-29) “In the re-creation of the world, when the Son of Man will rule gloriously, you who have followed me will also rule, starting with the twelve tribes of Israel. And not only you, but anyone who sacrifices home, family, fields—whatever—because of me will get it all back a hundred times over, not to mention the considerable bonus of eternal life. Luke 14:25-27 One day when large groups of people were walking along with him, Jesus turned and told them, “Anyone who comes to me but refuses to let go of father, mother, spouse, children, brothers, sisters—yes, even one’s own self!—can’t be my disciple. Anyone who won’t shoulder his own cross and follow behind me can’t be my disciple. SO TO WALK IN GOD’S WILL WE MUST LET GO! I believe we must let go of the salt! 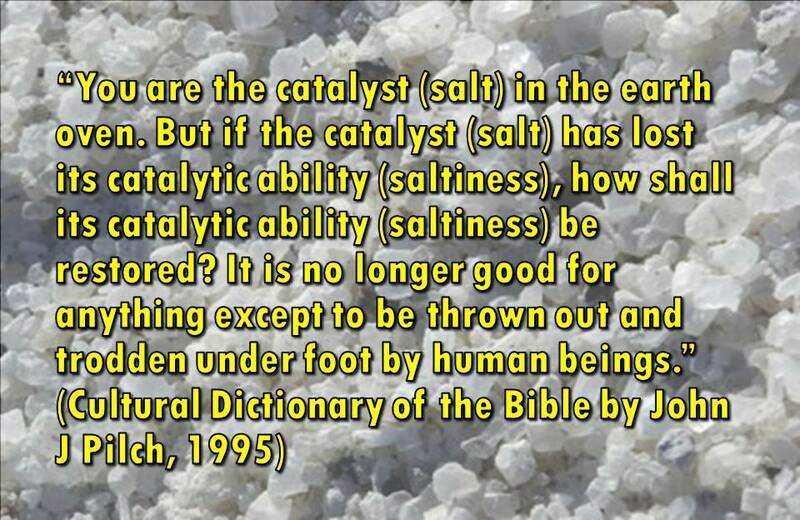 But Mudpreacher, Jesus said we are to be the salt of the world, right? If you consult with salt experts, they will tell you that salt never loses its taste. Never, not in a million years. It is a mineral and will stay the same. That’s why people who question the truth of the Bible cite this verse as one that proves their belief. Let’s consider this verse further. The word for lose its “taste or savor” is “moraino”, applied to the mind – stupid or silly (1 Cor 1:20 – God made foolish (moraino) the wisdom of the world); applied to the taste –insipid or bland; (as in salt losing its savor). 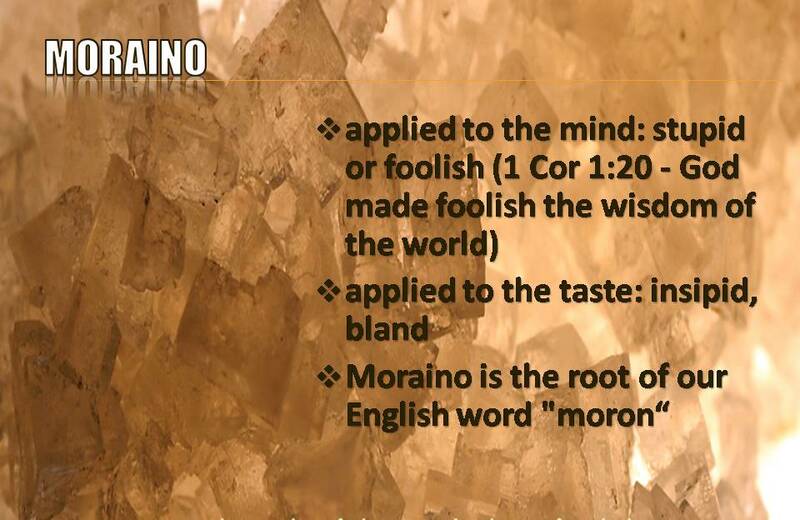 Moraino is the root of our English word “moron” = very stupid person. Elsewhere in medicine moraino is used of the slackness, fatigue or dulling of the nerves. Moraino is also used in respect of the sluggishness of animals in winter. With reference to men the use of moraino is predominantly psychological. In this context, moraino implies censure on man himself; his acts, thoughts, counsels, and words are not as they should be. The weakness is due to a specific failure in judgment or decision. Now in this verse,most people believe it refers to normally ‘salty’ believers losing thier ‘saltiness’ and having no effect upon the world. It is true that Christians only lose their “saltiness”when they make wrong judgments and become like the world. In effect they are “contaminated”. This is how many Biblical scholars explain the salt losing its’ “moraino”. Ancient Dead Sea salt, unlike our modern, refined table salt, did lose its flavor. The salt is not pure sodium chloride, but NaCl mixed with other rock and mineral matter; and if allowed to get moist, the NaCl would dissolve out and leave behind a pile of tasteless crud. Thus, in order for the salt to preserve its savor, contamination had to be kept out of it. This explanation makes sense to all but scientists, because to them, salt is still salt. It keeps its qualities 10,000 years, because it is a mineral. There may be a better understanding of what Jesus had in mind, which will silence the scientists. In the Cultural Dictionary of the Bible, John J. Pilch, Ph.D. who teaches Scripture at Georgetown University, points out that the Hebrew and Aramaic word for “earth” may also mean “oven”. 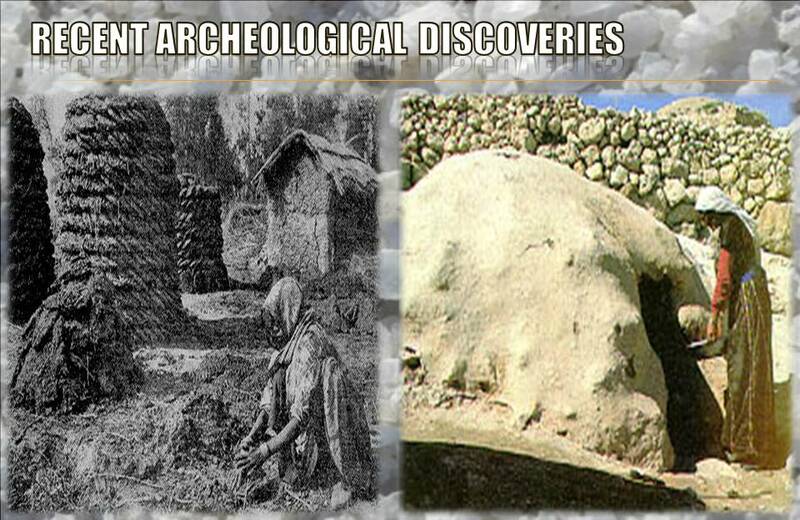 Many cultures of Biblical times used an earthen oven, an oven made of clay. Moreover, in the Mediterranean world, wood was a scarce commodity. They used abundantly available camel or other animal dung as fuel. Salt was used to dry out the dung patties, and a block of salt was placed at the base of the clay oven as a kind of catalyst to make the fire burn. Recent archeological discoveries confirm this use. 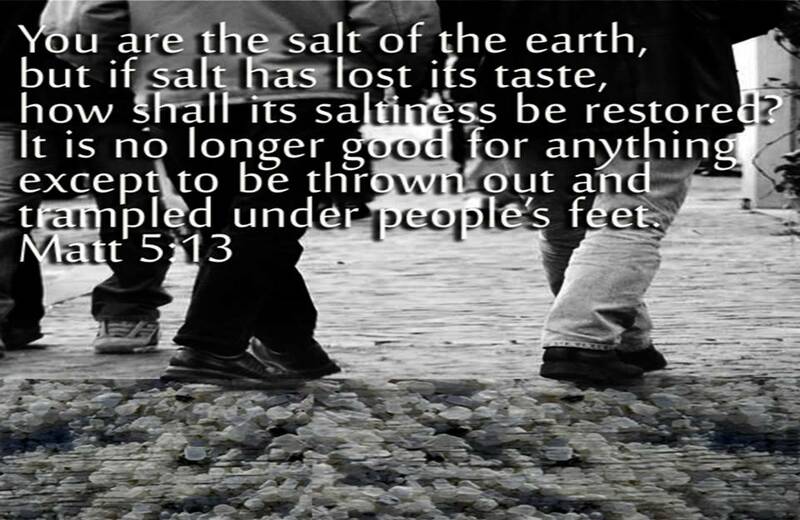 “…in all the ‘salt’ passages of the New Testament, salt is presented in its function as an aid to making fires burn rather than as a seasoning or preservative agent.” When the salt lost its ability to stoke the fires, it was thrown down as gravel on muddy roads. 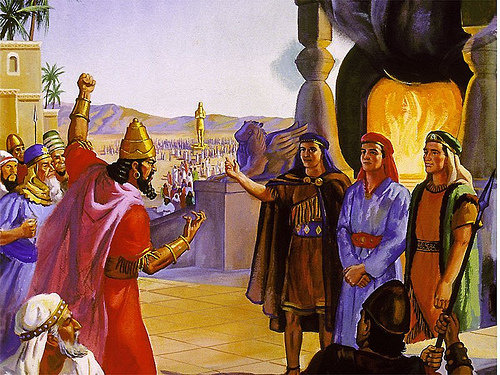 “I came to light the earth oven; would that it were already kindled” (Luke 12:49, then notice the subsequent discussion of family conflict and division, vv. 51-53). “Salt is good. 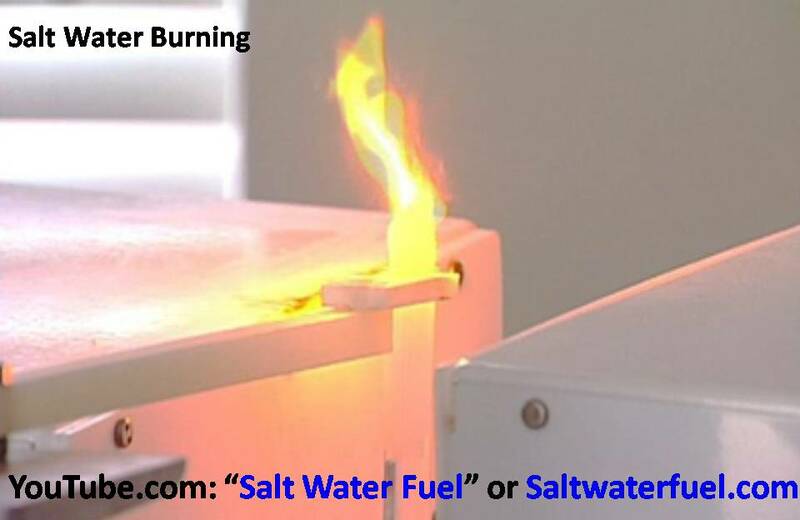 But if salt has lost its ability to start and maintain fires, how can that ability be restored? This salt is fit neither for the earth oven, nor for preparing the fuel (the dunghill). People just throw it away.” (Luke 14:34-35). So LET GO of the dung contaminated salt. When the salt can no longer change the dung, it’s time to let go. 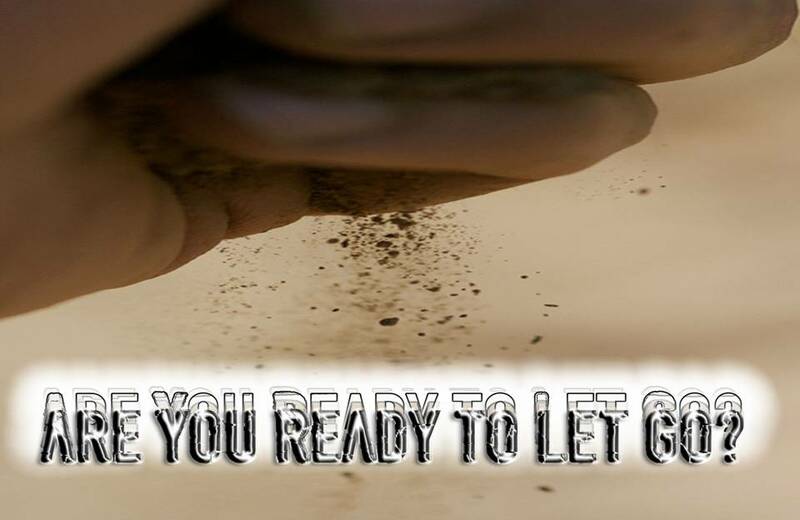 When the world is making the salt lose it’s saltiness, you must LET IT GO! Now let me connect the dots, and scratch some saints. 2. Contamination by the world and all that the world offers will make us useless for nothing except road gravel. 3. 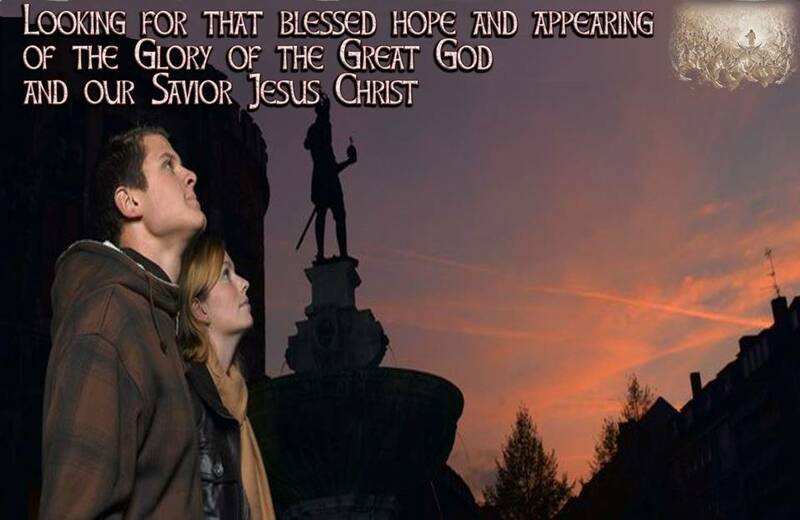 When it comes to the rapture, will we go to Christ if we look back? 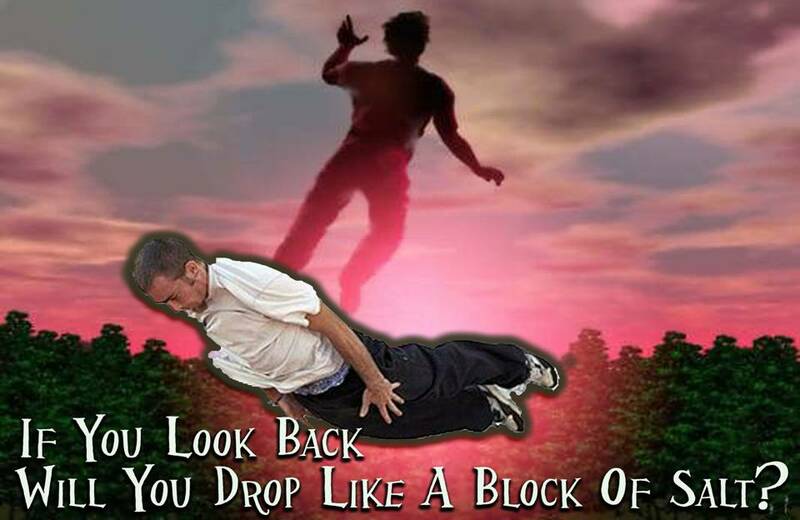 To put it bluntly: If You Look Back Will You Drop Like A Block Of Salt? 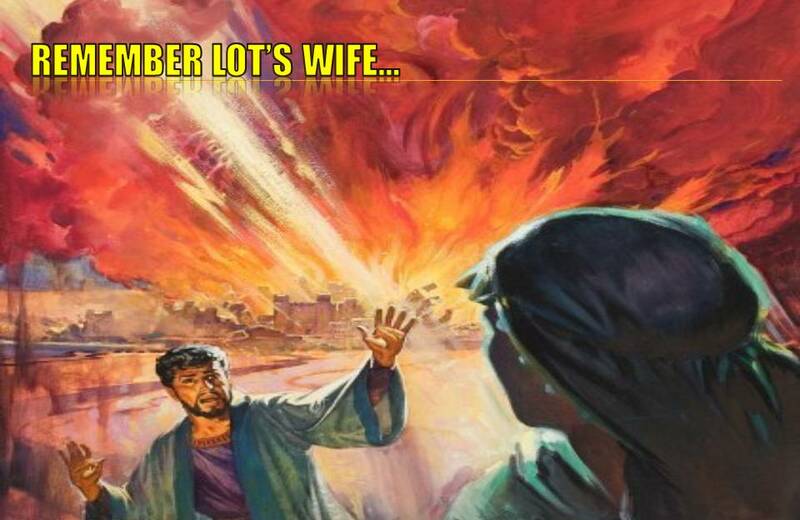 Genesis 19:26 But Lot’s wife, behind him, looked back, and she became a pillar of salt. The Apostle John made this bold declaration: “Do not love the world or the things in the world. If anyone loves the world, the love of the Father is not in him” (1 John 2:15). 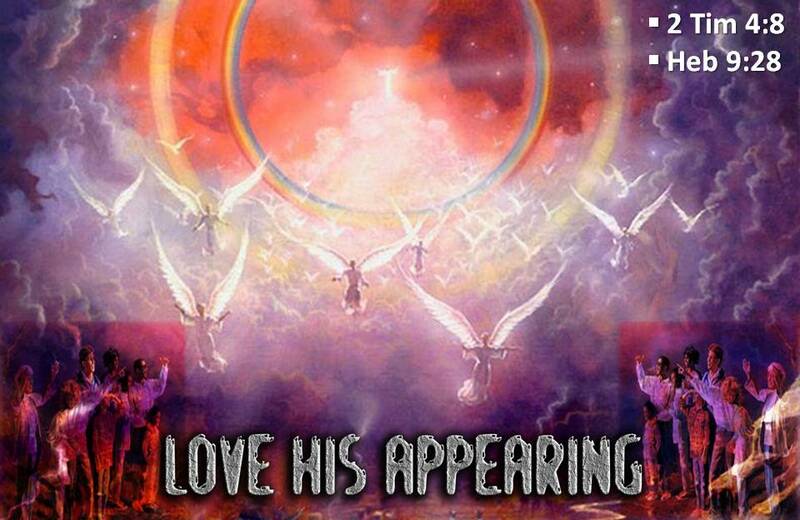 Do you think he believed that those Christians who loved the world would be raptured? Do you think Paul, who wrote about the rapture in Thessalonians, thought Demas would be raptured with him? After all Paul said this about Demas: “For Demas hath forsaken me, having loved this present world, and is departed unto Thessalonica;” (2 Tim 4:10). Matthew 24:36-44 36 “But concerning that day and hour no one knows, not even the angels of heaven, nor the Son, but the Father only. 37 For as were the days of Noah, so will be the coming of the Son of Man. 38 For as in those days before the flood they were eating and drinking, marrying and giving in marriage, until the day when Noah entered the ark, 39 and they were unaware until the flood came and swept them all away, so will be the coming of the Son of Man. 40 Then two men will be in the field; one will be taken and one left. 41 Two women will be grinding at the mill; one will be taken and one left. 42 Therefore, stay awake, for you do not know on what day your Lord is coming. 43 But know this, that if the master of the house had known in what part of the night the thief was coming, he would have stayed awake and would not have let his house be broken into. 44 Therefore you also must be ready, for the Son of Man is coming at an hour you do not expect. Matthew 25:1-13 1 “Then the kingdom of heaven will be like ten virgins who took their lamps and went to meet the bridegroom. 2 Five of them were foolish, and five were wise. 3 For when the foolish took their lamps, they took no oil with them, 4 but the wise took flasks of oil with their lamps. 5 As the bridegroom was delayed, they all became drowsy and slept. 6 But at midnight there was a cry, ‘Here is the bridegroom! Come out to meet him.’ 7 Then all those virgins rose and trimmed their lamps. 8 And the foolish said to the wise, ‘Give us some of your oil, for our lamps are going out.’ 9 But the wise answered, saying, ‘Since there will not be enough for us and for you, go rather to the dealers and buy for yourselves.’ 10 And while they were going to buy, the bridegroom came, and those who were ready went in with him to the marriage feast, and the door was shut. 11 Afterward the other virgins came also, saying, ‘Lord, lord, open to us.’ 12 But he answered, ‘Truly, I say to you, I do not know you.’ 13 Watch therefore, for you know neither the day nor the hour. 1 Thessalonians 5:1-7 Now concerning the times and the seasons, brothers, you have no need to have anything written to you. 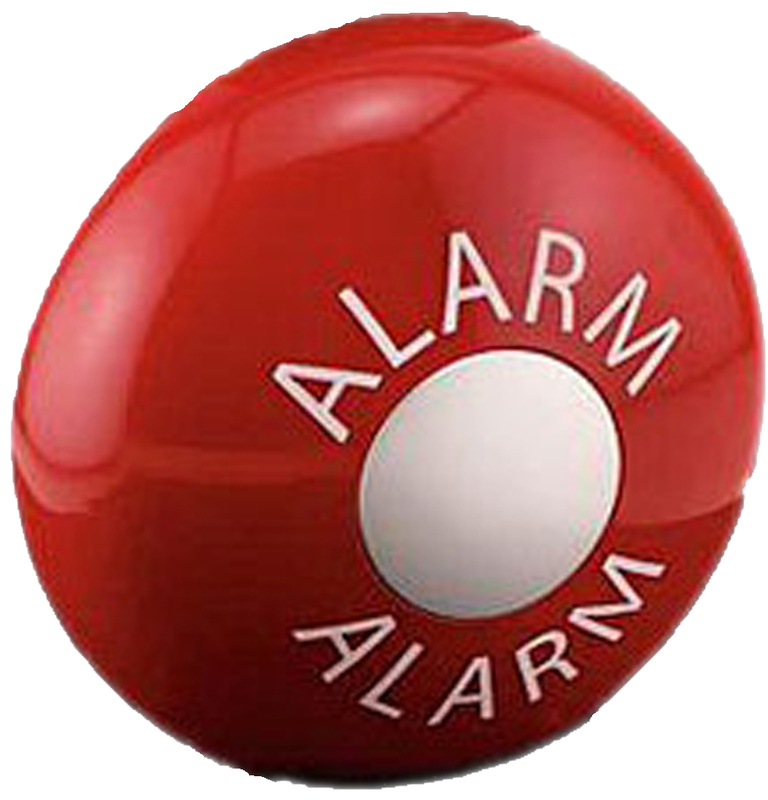 For you yourselves are fully aware that the day of the Lord will come like a thief in the night. While people are saying, “There is peace and security,” then sudden destruction will come upon them as labor pains come upon a pregnant woman, and they will not escape. For you are all children of light, children of the day. We are not of the night or of the darkness. Therefore let us not sleep, as do others; but let us watch and be sober. For they that sleep sleep in the night; and they that be drunken are drunken in the night. 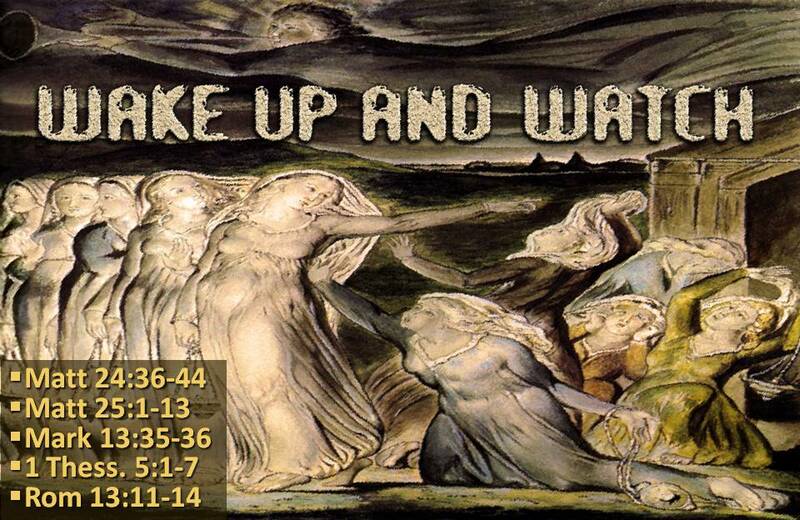 Romans 13:11-14 Besides this you know the time, that the hour has come for you to wake from sleep. For salvation is nearer to us now than when we first believed. The night is far gone; the day is at hand. So then let us cast off the works of darkness and put on the armor of light. Let us walk properly as in the daytime, not in orgies and drunkenness, not in sexual immorality and sensuality, not in quarreling and jealousy. But put on the Lord Jesus Christ, and make no provision for the flesh, to gratify its desires. Titus 2:11-14 11 For the grace of God has appeared, bringing salvation for all people, 12 training us to renounce ungodliness and worldly passions, and to live self-controlled, upright, and godly lives in the present age, 13 waiting for our blessed hope, the appearing of the glory of our great God and Savior Jesus Christ, 14 who gave himself for us to redeem us from all lawlessness and to purify for himself a people for his own possession who are zealous for good works. Revelation 2:26-28 And he who overcomes, and keeps My works until the end, to him I will give power over the nations–‘He shall rule them with a rod of iron; They shall be dashed to pieces like the potter’s vessels’– as I also have received from My Father; and I will give him the morning star. 1 John 5:4-5 4 For everyone who has been born of God overcomes the world. And this is the victory that has overcome the world— our faith. 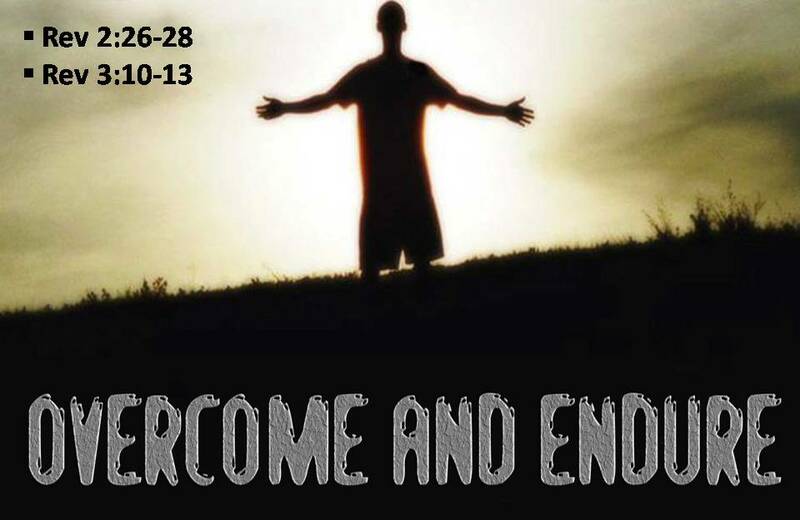 5 Who is it that overcomes the world except the one who believes that Jesus is the Son of God? This expression is very peculiar. 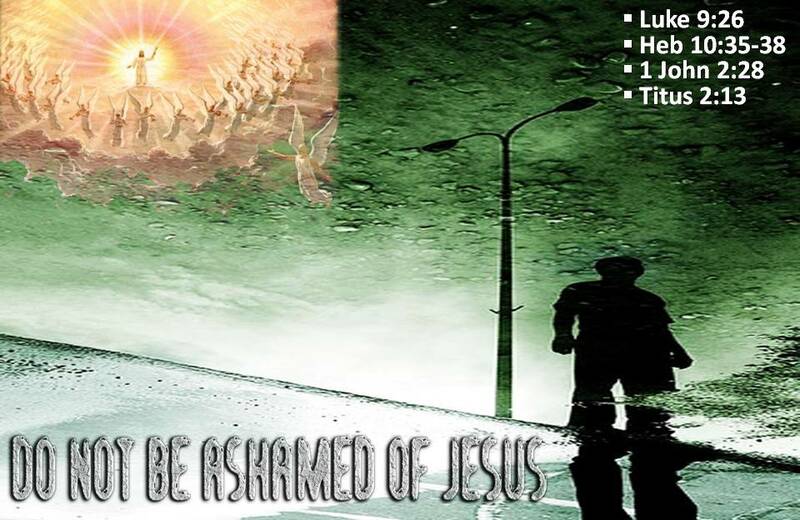 It means to “be ashamed from Him.” (Wuest) Sounds like you might not get to go! DOES YOUR LIFE DEMONSTRATE YOU ARE WALKING IN THE TRUTH? Why might some be taken and others left until His second coming? 3000 years ago God gave us an example of what happens to His people when they don’t forsake the world. The Hebrew children wandered in the wilderness for 40 years until they died off and the youngsters came of age. The worldly Hebrews had to die because they would have made terrible soldiers. They would never have been able to take the Promised Land. God had to give an example to their children, an example of the need for obedience to Him. Joshua had his army, but they had to be warriors un-entangled with the world. They had to hate the world. They had to war against the world. We must be of the same mind if we want to be raptured and join Jesus’ Army! What about the wedding feast? I thought THAT took place after the rapture! We are the Bride and we will be married to Him! Read your Bible. The marriage feast is not mentioned until Revelations 19 and 21, AFTER the new heaven and earth. 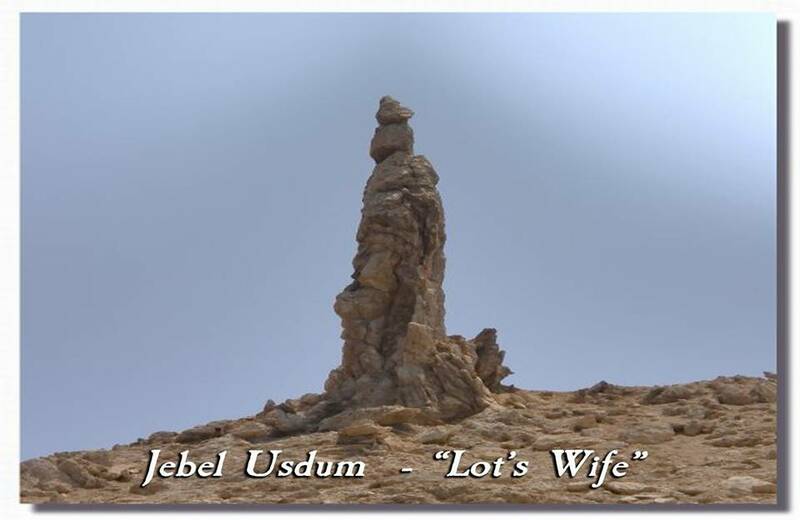 Today, on Jebel Usdum (Hill of Sodom) on the Dead Sea’s western shore, stands a pillar of salt known as “Lot’s Wife.” This monument is a perpetual reminder of a woman who allowed her human nature to turn her from the express command of God. In a critical moment she took her eyes off the goal. 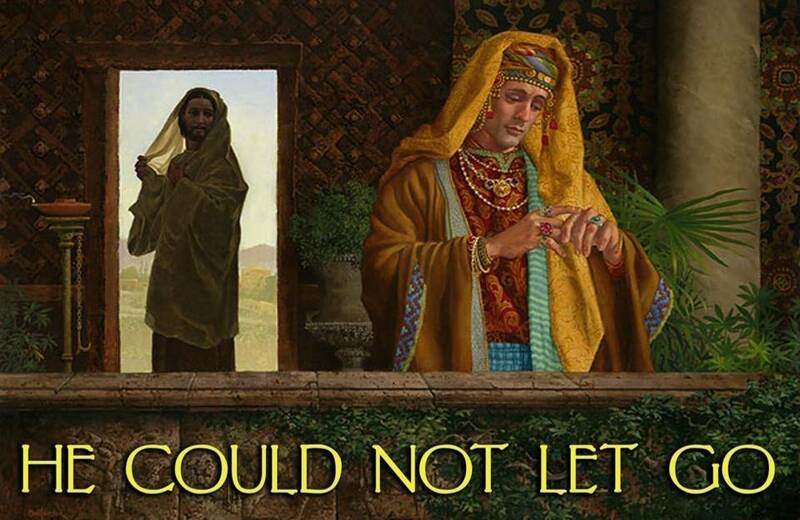 Christ warns that we cannot allow the same to happen to us. If you do you are reading a different Bible than I have. I read this Word and I am in fear, I tremble before this Holy God. I cling to Jesus as my righteousness. I cling to Him because without Him I am burnt toast, I am dung. with most of them God was not pleased, for they were overthrown in the wilderness. Now these things took place as examples for us, that we might not desire evil as they did. …. Paul warns us: Therefore let anyone who thinks that he stands take heed lest he fall. 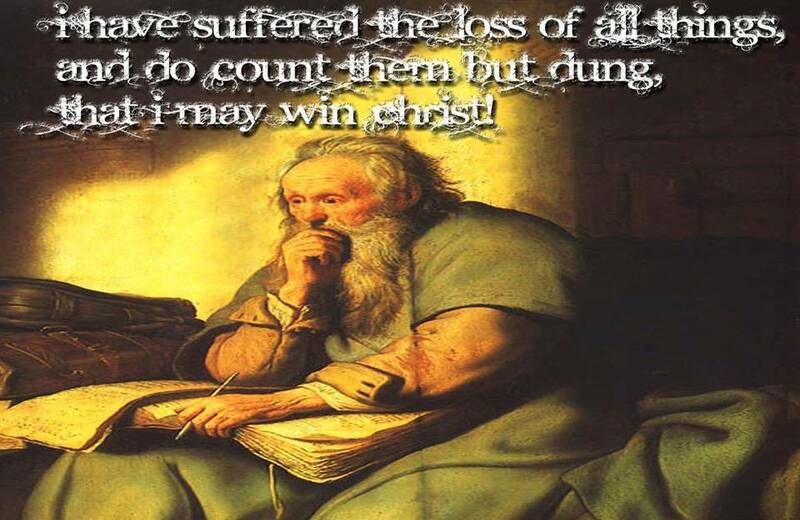 Paul said in Phil 3:8 “I have suffered the loss of all things, and do count them but dung, that I may win Christ! I don’t believe Paul ever took His salvation for granted. He never allowed His life in Jesus to make Him proud or arrogant or self-righteous. He was confident, but only in Jesus Christ and His living in him. Are you walking before God in humility, in reverence, in Holy fear? Is your confidence solely in Jesus Christ and His righteousness? Or are you living your life as you think best? Are you so in to the world that you would hate for Jesus to come back right now and interrupt your plans? 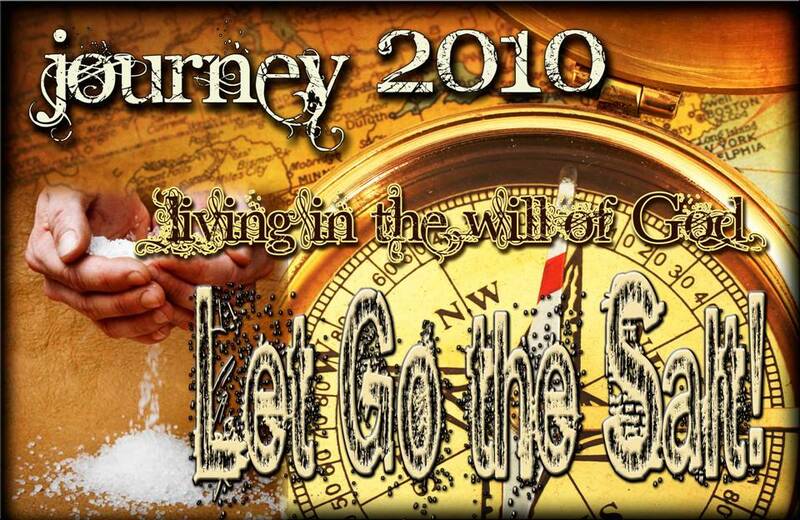 Are you ready to Let Go the Salt in 2010? 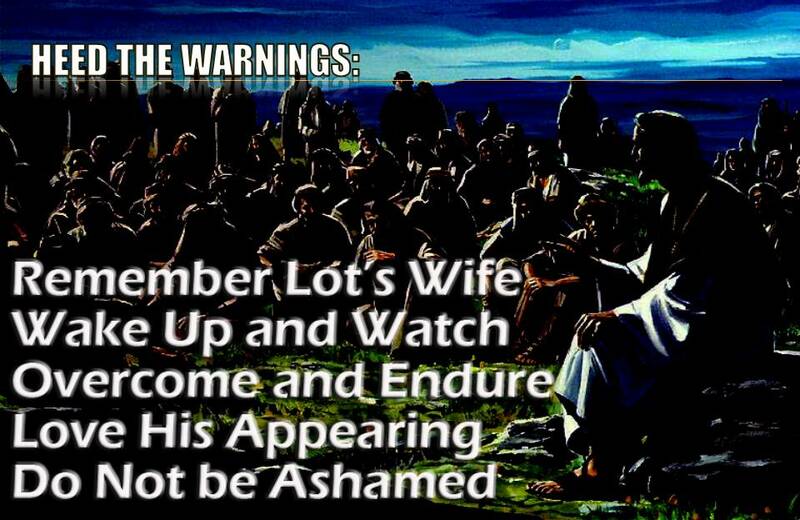 I think this morning the best way we can remember Lot’s Wife is to visually let go of the salt. If you want to get serious with God about living in His Will and walking in His truth, I would like you to come forward and pickup this 50lb salt block and then let it go! Let’s tell God we are serious about living in His will and walking in His Truth! Everything else is Dung. It will all get burnt up-so why are you holding on to it? 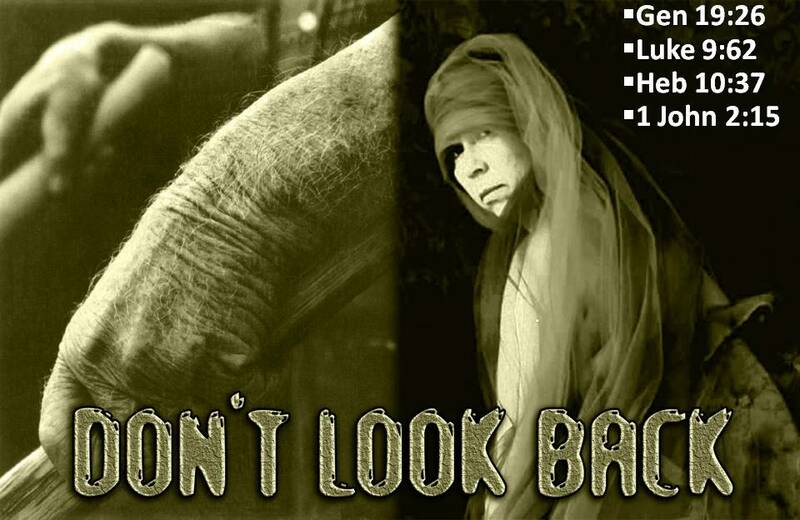 Do you want to be caught looking back when the Rapture happens? Are you willing to take that chance? I don’t know about you, but I’m gonna let go the stinky salt!